What is the composition of toner? Toner is a kind of powder that is used in laser photocopiers and printers to form the printed text and images on the paper, in general with a toner cartridge. Early types of toner were strictly carbon powder. Then, to improve the quality of the printout, the carbon was melt-mixed with a polymer. Toner particles are melted by the heat of the fuser, and are thus bonded to the paper. Fine powder and pigment compose the core elements of toner, though many other ingredients accent these basic components. Each toner cartridge contains varying ratios of ingredients, as per the individual needs of the copier. Toner Powder: The powder mixture contained in a copier's toner cartridge is actually what the term "toner" refers to. Ultimately, toner powder is the main ingredient in copier toner. Before understanding why copier toner contains the ingredients it does, it's important to know how toner powder works. This extremely fine powder, which has a consistency akin to talcum powder, gains an electric charge when it comes in contact with the copier's rotating drum. The copier's laser beam then removes the charge from the previously charged areas of the drum, leaving certain areas free to be coated with toner. The drum rolls over a sheet of paper with certain areas coated in toner, creating an image. Various mixed ingredients compose toner powder, in turn making up miniscule particles generally ranging in size from five to 15 microns---a millionth of a meter---around. Plastic: Heat-sensitive plastic powder particles account for the majority---about 60 percent--of toner powder's composition. 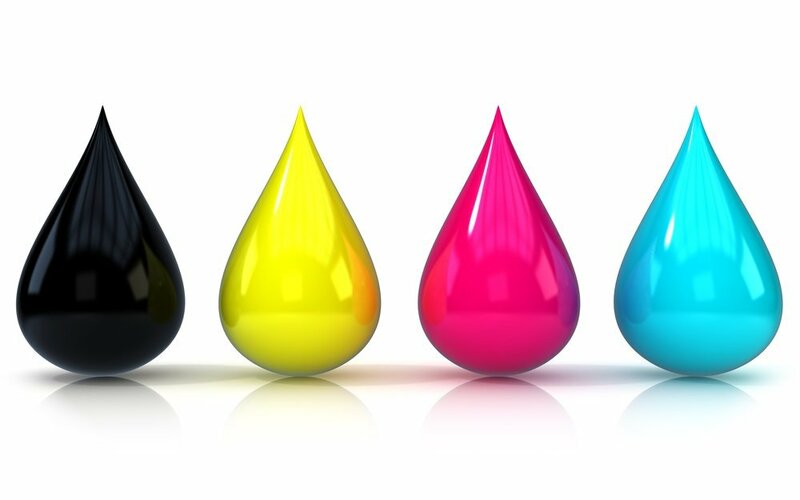 Small amounts of plastic melt during the laser printing process, allowing the toner to adhere to the paper and create an image. Iron Oxide: According to the Smart Computing Encyclopedia, iron oxide usually accounts for about 40 percent of the content of toner powder. This reddish brown substance is commonly known as rust. This metal powder helps create the magnetic charge necessary to oppose the charge of the other toner powder particles, acting as a "carrier" so the toner adheres to the proper spots on the rotating drum. Copier toner contains elements of rust. Pigment: Pigment is a kind of powder substance that gives the toner its color. Pigment gives various hues to all the mixed components of toner powder. Along with plastic and pigment, it composes much of the toner powder's base. Pigment comes in a variety of colors.